We recently entered a contest with other area designers and won! We are so honored to have our work chosen to be on the cover of the New York Design Trade directory! 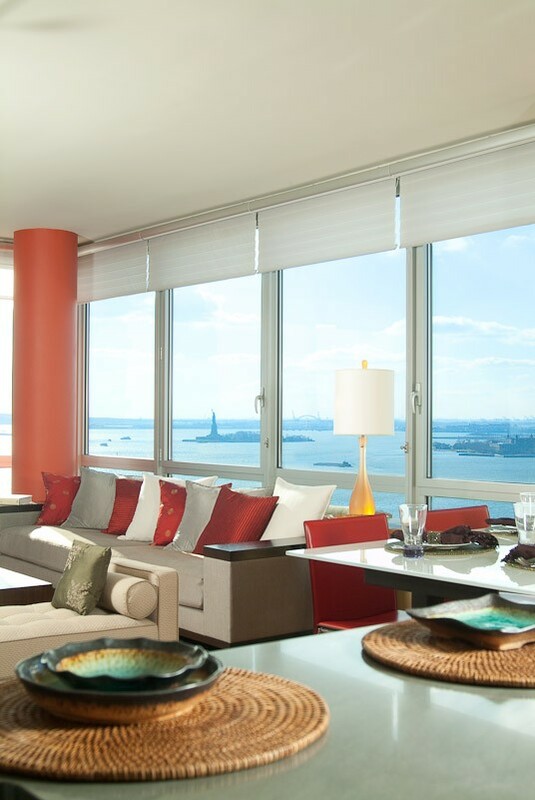 Great views from this Millenium Towers condo in downtown Manhattan made for the perfect backdrop to the crisp yet comfortable design. 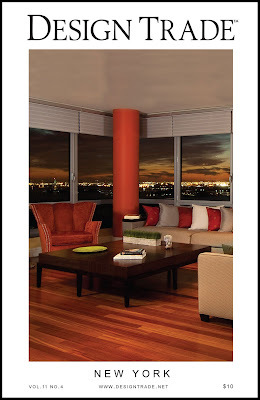 The decadent, warm, rich colors translate from floor to furniture and even up to the ceiling with the painted pillar that catches the eye but never takes away from the spectacular view!